After 28 months of flightly flatnosing around, here is a fundamental restyle and update of the Fabulous Flatnose register! A lot has changed for the better. Now each category has its own definition, each new addition will be judged on that. For the pre-production cars, that mark an important transition from prototype to production, the definition reads ‘cars built in 1985 on the line (not by hand)’. Due to this new classification, only four (previously six) of originally seven pre-production cars are accounted for in the register now. 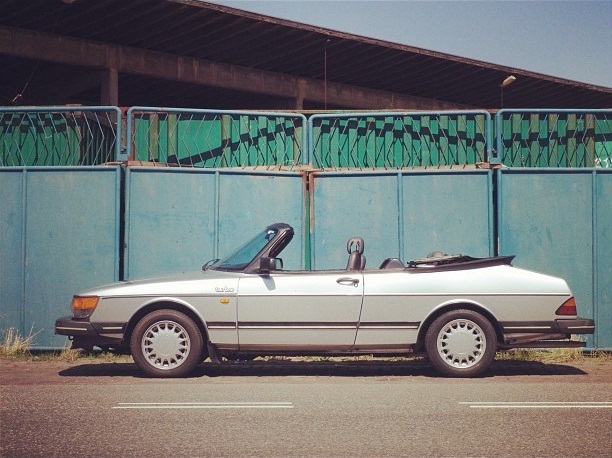 A category of unidentified cars is added; cars of which it is unclear which one they are (mostly due to lack of a verified serial number) and if they are truly Fabulous Flatnoses. This category no longer counts as registered cars. 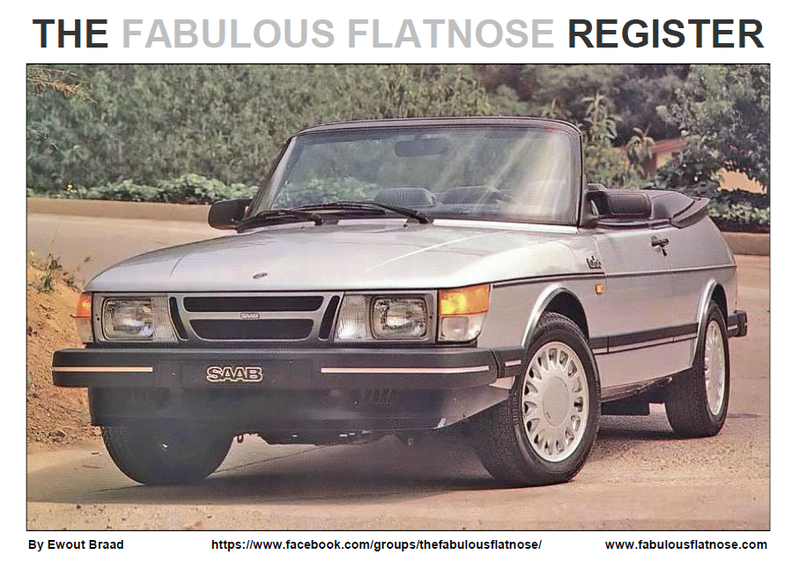 The category is somewhat enigmatic marked out as ‘cars that may or may not be real Fabulous Flatnoses and may or may not already be in the register; the serial number is unknown’. Check the register-pdf in the Register tab for better understanding, if you wish. If this license plate did truly belong to this car at the time or even if both depicted cars are in fact the same car after a facelift remains unclear. Of course, the search for information on these cars will continue. Five of the first 11 Fabulous Flatnoses turned out to be still around and were traced (with help from Roland Almborg) and added to the production car statistics. The interesting part is these five cars are all in Sweden and were registered as 900i, athough it were true T16 Fabulous Flatnoses. Apparently, most of the really early Fabulous Flatnose production cars weren’t sent to the USA – possibly because quality standards were not yet met. The Fabulous Flatnose Factsheet in the Library is updated with the new definitions and classification. The one and only register-pdf, in which the complete register can be found, got a pretty nice restyle and was expanded with some interesting information. It can be found in the Register tab. In the register-pdf, the database was upgraded. 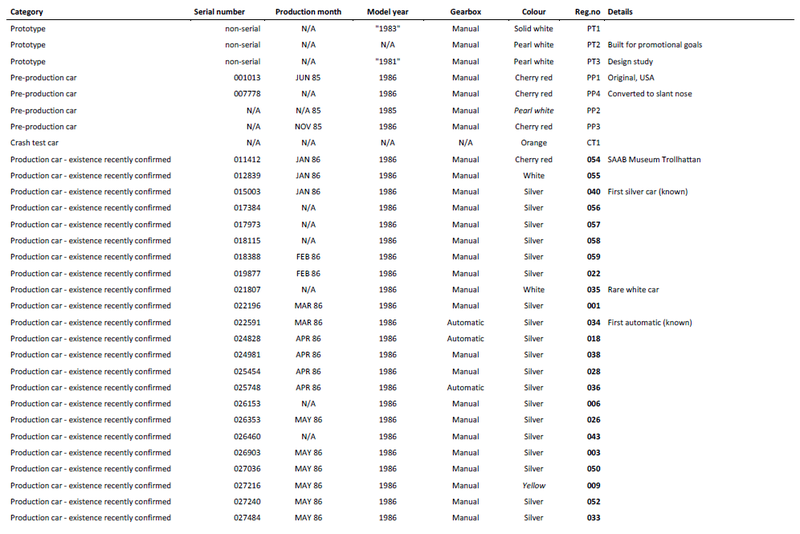 Alle the cars in the register are now in the database, that is sorted by category and serial number. The galleries, that can be found in the Register tab, have been updated according to the above changes and consummated due to overdue maintenance. 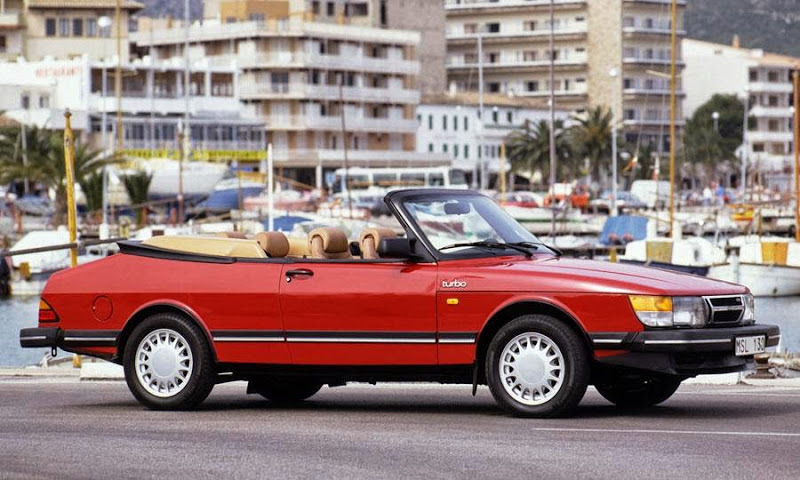 Dit bericht is geplaatst in Geen categorie met de tags 1986, 900, 900cv, 900og, cabrio, cabriolet, convertible, cv, first, flatnose, register, Saab, series, turbo. Bookmark de permalink.